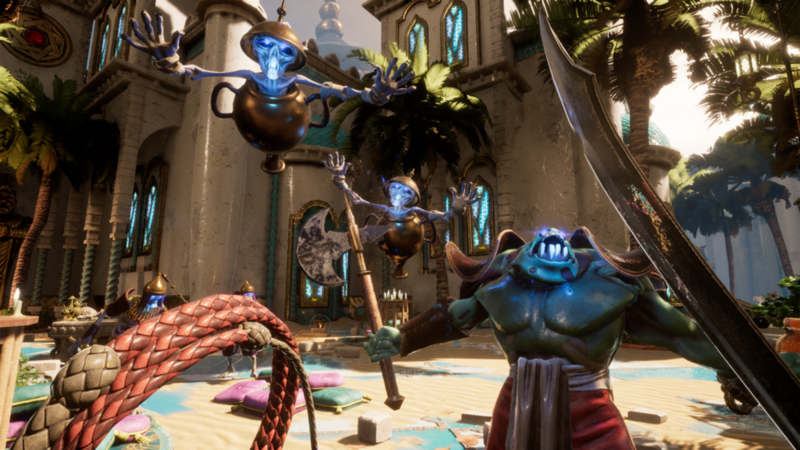 Armed with a variety of weapons and a versatile whip, lash, slash, trick and trap your way through the City of Brass, a first-person Arabian Nights adventure from senior BioShock developers. 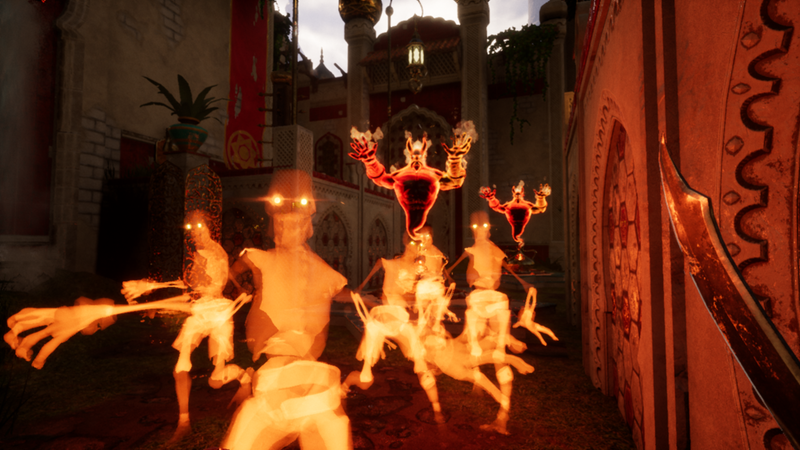 Leaping from the pages of the Arabian Nights, adventure awaits in the accursed City of Brass – a place of legend, filled with danger and reward. Infested with mischievous spirits and deadly traps, its shifting streets are brimming with the wealth of a nation. Assume the role of a cunning thief, battling to reach a fabled treasure at the city’s heart, wielding weapons & a whip that can be used to disarm, trip or stun enemies, to swing to safety, grab inaccessible objects or even break through flimsy barricades. Leap across pits, slide under blades, dodge spears, and sidestep poison gas traps – all the while manipulating hazards to your advantage against diverse spirit foes. 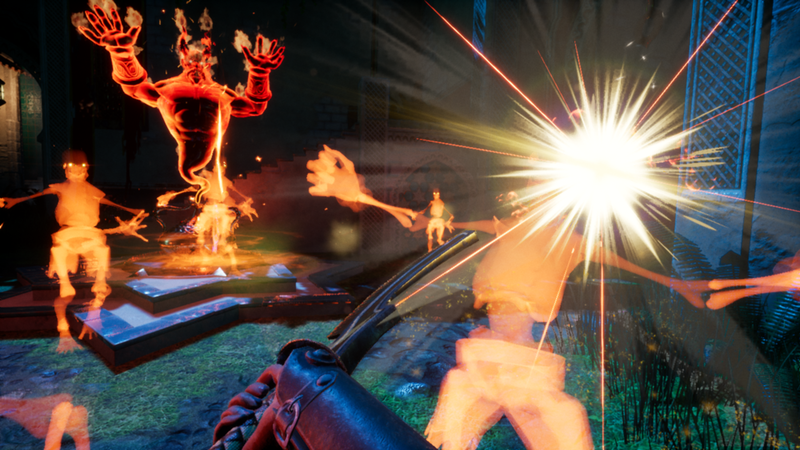 Play the thieving Fool, vengeful Traveler, spear-wielding Soldier, knife-throwing Brigand, the magical Hellion or the crossbow-toting Revenant! Each character comes with their own weapons, equipment, strengths and weaknesses that accommodate a variety of play-styles. Incarcerated within the city, most Genies are friendly. Barter your loot for gear, upgrades, secrets, unlocks or protections, or use one of three wishes to unlock a powerful benefit. Tailor the challenge to your playstyle with Blessings & Burdens - optional modifiers that tweak everything from player health to enemy damage, ensuring City of Brass is tuned for every player. When your sword just isn’t enough, get creative: smash your enemies with explosive vases, blind them with a brick to the face, blow them up, set them on fire, or force them into traps. 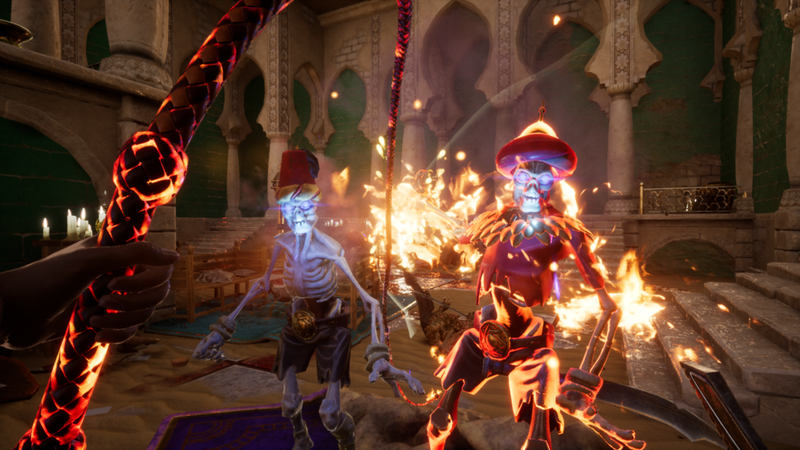 The City of Brass is constantly evolving, with FREE updates added regularly. Click each update image below to read about how the game has changed. Whether you're looking for a fight, or just want to explore, Blessings & Burdens allow you to tailor the game to the experience and level of challenge that you desire. Blessings make the game overall easier, and can be enabled from the outset, while Burdens make the game harder, and must be unlocked. 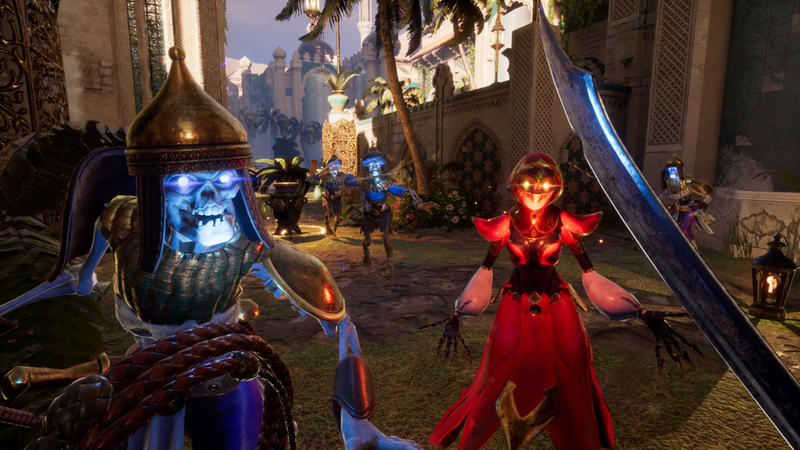 Sign up with your email address to receive news and updates about City of Brass. ©2018 Uppercut Games Pty Ltd. Uppercut Games, City of Brass and their respective logos, are trademarks or registered trademarks of Uppercut Games Pty Ltd in the U.S. and other countries. The ratings icon is a registered trademark of the Entertainment Software Association. All other trademarks and logos belong to their respective owners. All rights reserved. Microsoft, Windows, Xbox, Xbox 360, Xbox One, Xbox LIVE, and the Xbox logos are trademarks or registered trademarks of the Microsoft group of companies and are used under license from Microsoft.